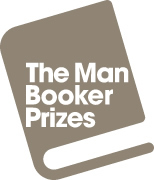 The presence of an unconventional title on the Booker Prize longlist is no longer a surprise — indeed it is conventional for there to be one. Heck, DBC Pierre’s Vernon God Little actually won the Prize. In recent years, Me Cheeta (2009), a Hollywood memoir narrated by an ape (Tarzan’s co-star), and The Stars in the Bright Sky (2010), a group of hard-drinking young women stranded at Gatwick, filled out the role, although neither made it to the shortlist. So the presence of a Western set in Oregon and California during the Gold Rush in 1851 on the Booker 2011 longlist is hardly a surprise, just this year’s break with convention. I could easily see the Coen Brothers making the movie of The Sisters Brothers, so if you like Coen Brothers movies I guarantee you will enjoy the book. I’m not a fan of the Coen brothers’ work (and John C. Reilly has apparently bought the rights, but you can see what “asbo” is getting at), so that statement is made without personal endorsement here — I do suspect it is an accurate assessment and if it lands positively with you, you might not want to read any farther here and just go buy the novel. To help with my challenge with deWitt’s novel (he was born in Canada but now lives in Portland — we might see this one again when the Giller longlist is announced), let me sketch a conceptual triangle of Western fiction. At one of the bottom corners, you have Zane Grey and the conventional good guy/bad guy model with a fair bit of killing as part of the action. At the other bottom corner, Cormac McCarthy (especially The Border Trilogy) — hostile Nature joins hostile people in the mix. And at the peak, let me place Wallace Stegner (see my review of Angle of Repose) where the story focuses on confronting that hostile nature rather than shooting each other, even if there is a fair bit of non-fatal human conflict involved. I was very fond of my previous horse and lately had been experiencing visions while I slept of his death, his kicking, burning legs, his hot-popping eyeballs. He could cover sixty miles in a day like a gust of wind and I never laid a hand on him except to stroke him or clean him, and I tried not to think of him burning up in that barn but if the vision arrived uninvited how was I to guard against it? Tub is a healthy enough animal but would have been better suited to some other, less ambitious owner. Watts failed at that too, but you are going to have to read the novel to find out how (it is quite a funny paragraph, actually — deWitt delivers a number of very good set pieces). We are moving in the direction of McCarthy territory here and the rest of the first half of the book features elements of both Grey and McCarthy. Watts survives his experience with the Sisters; the same will not be true of many of the other characters the two meet on their way to San Francisco. Charlie’s response to confrontation is to shoot first and bury later (with Eli helping out as required in both the shooting and burying); I did not attempt to keep a body count as the book went on. While all this is taking place, the author is establishing Eli as a character with more than one dimension, although that does require some “give” on the reader’s part. And, when the brothers finally get to San Francisco and find Hermann Kermit Warm, deWitt puts a curveball into play and the novel moves much closer to Stegner territory — I’d say the last half would be virtually at the centre of my conceptual triangle. And there is no point in spoiling how it gets there. If you don’t like the outline of the first part of the book, you probably want no part of any of it — if it sparks your curiosity, the novel does acquire depth. deWitt is a strong writer; the narrative is fast-paced and even the awkwardness in some of Eli’s wording is effectively deliberate. Unfortunately, for an action-based book, most of the incidents are quite predictable and even when the story becomes more contemplative you can only take the notion of a hired gunslinger with a heart so far. The Sisters Brothers deserves high marks as an entertaining Western, with the added praise that it does have a non-Western twist to its second half. For me, that is not enough to make it Booker shortlist material, as worthy as it might have been as this year’s conventional “unconventional” title on the longlist.